GMS Composites is showcasing at JEC Europe 2013 in Paris from 12th-14th March its latest high performance epoxy prepreg GMS EP-620, which uses a very tough, impact modified epoxy resin matrix system. GMS Composites will have information available on the Carbon Nexus stand (Z38), Australia’s leading centre for Carbon Fibre and Composites Applied Research. GMS EP-620 has been specially developed for cost effectively fabricating lightweight fibre reinforced composite parts needing very high fracture toughness and energy absorption in use. This special epoxy resin matrix system was developed by GMS Composites to be capable of high velocity ‘ballistic level’ high kinetic energy absorption and resistance to repeated shock impacts. According to GMS Composites, their GMS EP-620 epoxy prepreg resin has over 1.75x the fracture toughness and requires 3x the fracture energy to break compared with standard industry prepreg resins tested. The official data sheet for the neat GMS EP-620 system quotes fracture toughness K1C figures of 2.2 – 2.35 MPa√m and an ultimate elongation of 11%. Depending on the application, GMS EP-620 epoxy prepreg resin can be combined with reinforcement fabrics made from carbon fibres, aramid, s-glass or polyethylene fibres to mould components designed for ballistic protection, personal body armour and vehicle protection in a variety of demanding defence, military, industrial and motorsport applications. Several successful ballistic and motorsport customer product trials took place during the development stage to thoroughly test and validate the mechanical performance of GMS EP-620; a variety of laminate designs and reinforcements for a number of demanding military and motorsport applications were trialled. This included a race trial by a leading Australian rally team, who carried out a comparative performance test. They replaced the originally fitted FRP composite underside protective covers with identical parts made from GMS EP-620 epoxy aramid fibre prepreg; front and rear underside composite protection covers are typically located beneath the engine, as well covering key safety critical parts under the car that must be reliably protected, such as the fuel tank, fuel lines and brake lines. 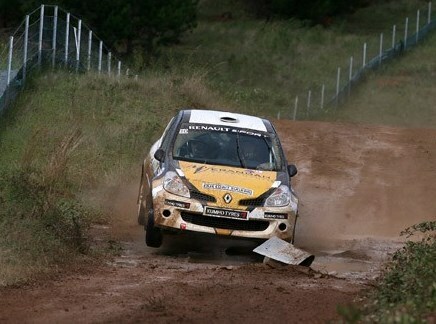 Under arduous rally racing conditions the GMS EP-620 aramid fibre composite protector covers proved to have superior fracture toughness resistance by lasting twice as long as the original composite covers. GMS EP-620 epoxy prepreg resin has also been designed for cost effective production. It exhibits good flow characteristics during moulding and the tack level can be varied to suit individual conditions and requirements. It has a versatile curing cycle from 80 0C up to 150 0C; at the maximum 150 0C processing temperature the resin has a gel time of 2-3 minutes and moulded parts can be fully cured within 20 minutes. This has the advantage for manufacturers of making it suitable for fabricating a wide range of shapes and sizes, from large complex structures to smaller FRP composite parts. The processing properties of GMS EP-620 epoxy prepreg also enable fabricators to apply a range of pressures and ramp up rates depending on the design, size and laminate construction of the part being produced. GMS EP-620 epoxy prepreg has a reliable shelf life of over 6 weeks at 23 0C ambient, up to 12 months if refrigerated at -18 0C. GMS Composites is located in the Melbourne suburb of Dandenong South, Victoria, Australia, where they have their R & D, production and warehousing operations. They have been manufacturing epoxy prepregs for over 12 years and now have an established range of over 10 different prepregs resins systems available which cover a wide range of industries including: aerospace, motorsport, sporting & leisure goods, ballistics and tooling. GMS Composites, formerly General Mica Supplies and GMS Industrial, has evolved as a business over the last 70 years from its origins in mica based products and thermal insulate. For more information go to www.gmsindustrial.com.au.